As the anticipation grows for Christmas Day, it is easy to become wrapped up in the craziness of the holiday season. It is a time for fun, laughter, and good times for many. Luckily, I am one because I have a blessed life and find Christmas time enjoyable and refreshing. I am grateful for all the amazing people in my 3 foot space! This is a time for reflection and gratitude for the blessings in my life. Each year, I am amazed by my sense of happiness when I spend time with family and friends. Of course, this is not the same feeling for everyone and for those who are finding this time of year very difficult, I will be sending you positive thoughts in the hopes that it may bring some relief to your troubled times. 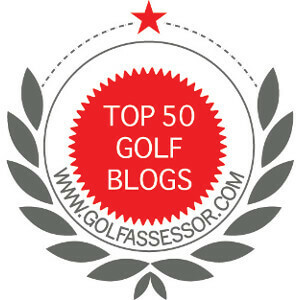 I realize that this is a golf blog and I intend on getting back to the main topic after Christmas. However, I choose the word grateful as part of the name for this blog to remind me that everyday, I create the day I want! And to do this, expressing gratitude is my first step. I hope your day is full of fun and laughter. Remember that you still have one more day to be nice; if you are not, Santa just might leave you a lump of coal in your stocking instead of golf balls!